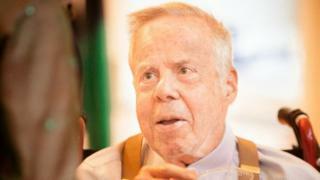 Robert Spitzer, the influential American psychiatrist credited with establishing a modern classification of mental disorders, has died at the age of 83. Dr Spitzer played a leading role in the development of the Diagnostic and Statistical Manual of Mental Disorders. He was also lauded for pushing to remove homosexuality's classification as a mental disorder in 1973. Dr Spitzer's wife said he died from heart problems in Seattle on Friday. His work on several editions of the field's diagnostic manual, known as the DSM, was seen as a "major breakthrough in the profession", his wife and colleague Janet Williams told the AP news agency. It helped to give psychiatrists definitions of all of the major disorders so that they "could agree on what they were seeing", she said. Working from Columbia University in New York, he pioneered an approach that relied on empirical study rather than traditional theory. Dr Spitzer was "by far the most influential psychiatrist of his time," Dr Allen Frances, editor of a later edition of the DSM manual, told the New York Times. Homosexuality, which at the time was listed as a mental disorder, was among the behaviours Dr Spitzer analysed and later removed from the list in the 1970s. Until that point, the DSM had classified homosexuality as an illness, designating it a "sociopathic personality disturbance." Dr Spitzer said he pressed for the change after meeting gay rights activists and determining that homosexuality could not be a disorder if gay people were comfortable with their sexuality. "A medical disorder either had to be associated with subjective distress, pain or general impairment in social function," he told the Washington Post. Dr Jack Drescher, a gay psychoanalyst, described it as a major advance for gay rights. "The fact that gay marriage is allowed today is in part owed to Bob Spitzer," he told the New York Times. But Dr Spitzer later courted controversy after publishing a study in 2001 which purported to support reparative therapy to turn gay people straight, sparking claims of betrayal from gay rights activists. More than 10 years later, he apologised for the study, which he said was flawed. He said it was the only thing in his career that he regretted.